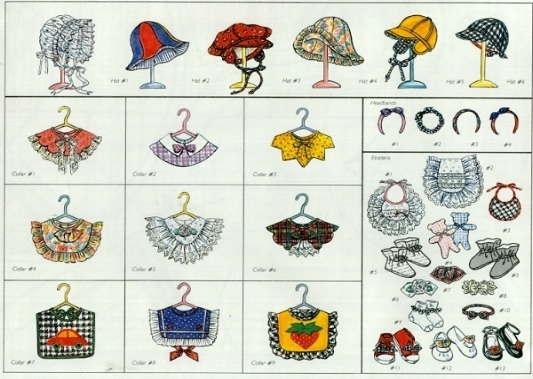 Complete patterns and instructions for Hats, Bonnets, Bibs, Collars, Booties, Headbands, Bows, Shoe & Sock Treatments and more. Sizes Newborn to 24 months. This pattern comes on nice, sturdy paper in a large 9x12" printed envelope.